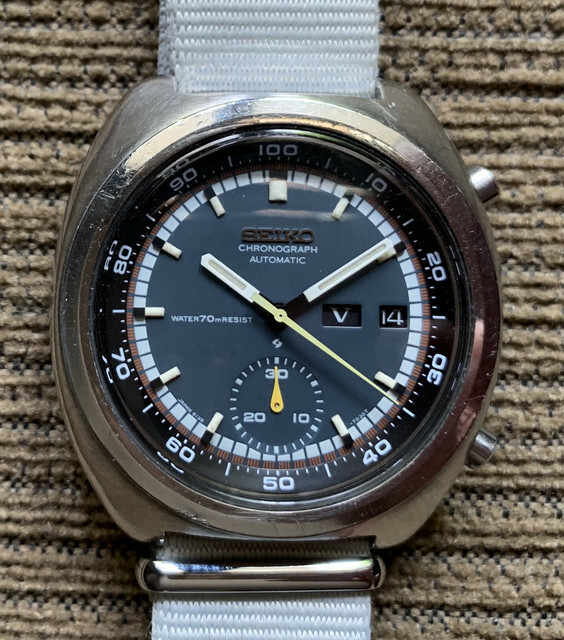 For sale is this Seiko 6139-7002 in a very nice condition. Dial is very clean and the "flat blue" color is really something different. 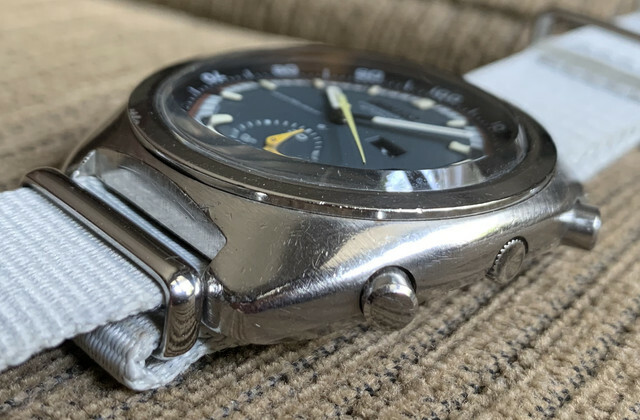 The watch is sold head only (will attach a Nato strap), all original. Original Lumes are very clean on the dial and hands. 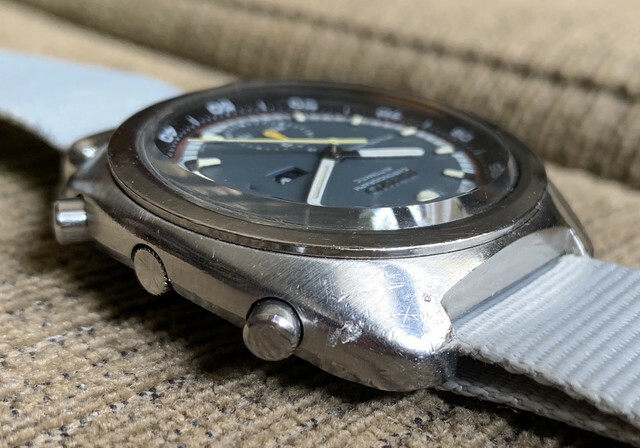 The sweep second hand has turned a shade lighter than the teardrop style minute counter hand. 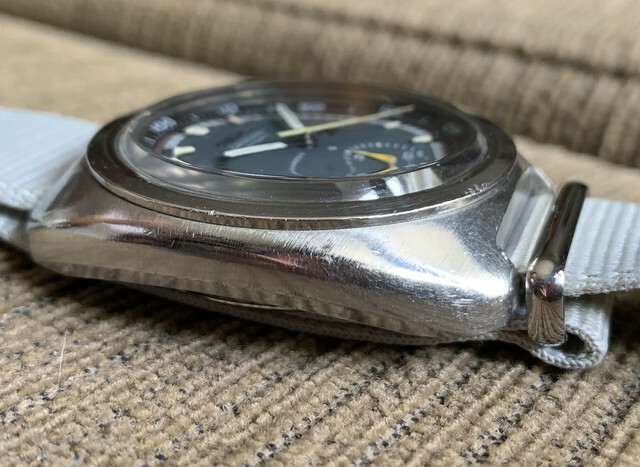 Original unpolished case with hairline scratches and little dents due to usage. All functions work, resets to zero although the reset buttons can be quite stiff. 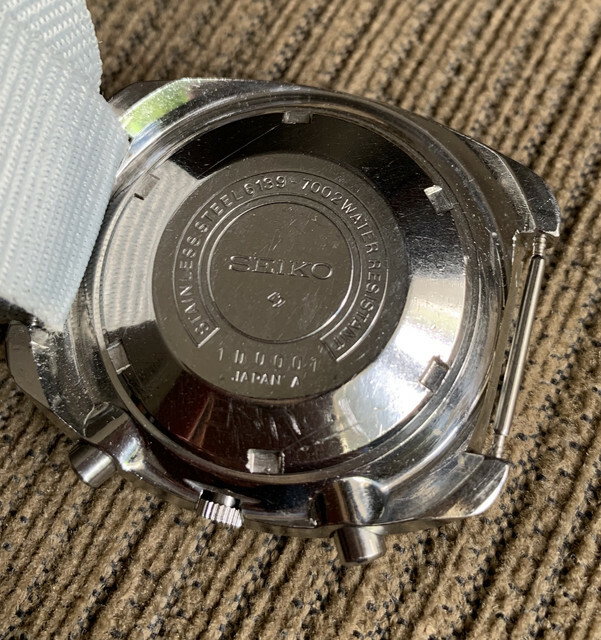 Watch was manufactured in December 1971. This is something different than the "Pogues". I'm offering at USD 375 delivered all around the world with standard EMS, including paypal fee.